Do you want to customize the RSS feed footer in WordPress? This allows you to add custom text, links, or even advertisements below your post content in the RSS feed. In this article, we will show you how to easily control your RSS feed footer in WordPress, and how to add custom feed only content to your posts. Why Add Content to RSS Feed Footer in WordPress? RSS feeds offer an easier way for users to read your blog posts in their favorite feed reader apps such as Feedly. However, RSS feeds can also be used by content scrapers to automatically steal your blog posts as soon as they are published. Sometimes these content scrapers end up ranking higher than your original post in search engines. To learn more, see our guide on how to prevent blog content scraping in WordPress. Adding additional content to your RSS feed footer allows you to add backlinks to your main site and the original post at the end of each article. This allows you to rank higher for your posts even if they are copied by content scrapers. By manipulating your RSS feed footer, you can also encourage readers to visit your website from time to time. 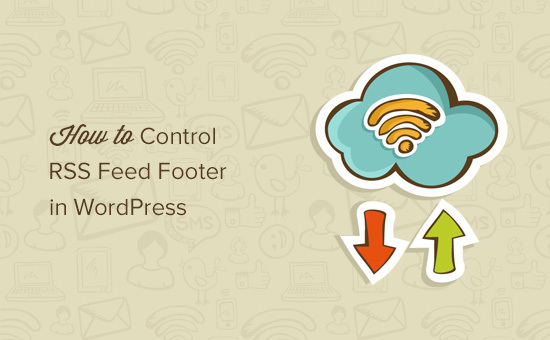 Having said that, let’s take a look at how to easily control your RSS feed footer in WordPress. This method is easier and recommended for all users. It uses the Yoast SEO plugin, which is the most popular WordPress SEO plugin. 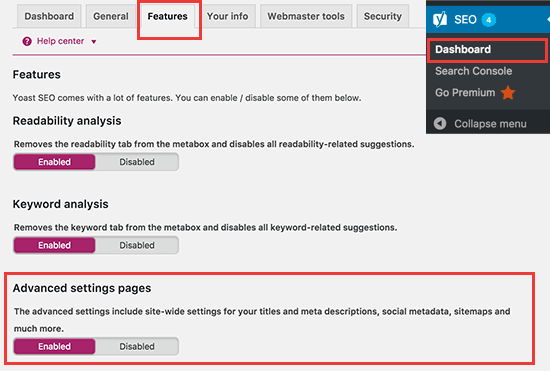 First you need to install and activate the Yoast SEO plugin. For more details, see our step by step guide on how to install a WordPress plugin. Upon activation, you need to visit SEO » Dashboard page and click on the ‘Features’ tab. Next, scroll down to the ‘Advanced settings pages’ section and make sure this option is ‘Enabled’. Don’t forget to save your changes to reload the plugin. After that, you will be able to see more options under the SEO menu. Next, you need to visit SEO » Advanced page and click on the RSS tab. Under the RSS feed settings, the first box allows you to add content before each post. The second box allows you to add content to the post footer. 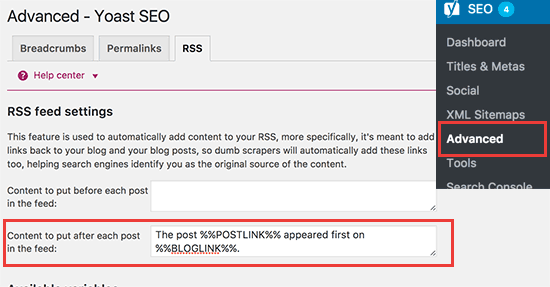 Yoast SEO automatically adds credit text with backlink to your website in the RSS feed footer. You can either use the text as-is, or you can add your own content. You can now view your RSS feed to see the changes. At the end of each article, you will be able to see content you added to your RSS feed footer. This method requires you to add code to your WordPress files. If you haven’t done this before, then check out our guide on how to copy and paste code in WordPress. You’ll need to copy and paste the following code in your theme’s functions.php file or a site-specific plugin. This code simply checks if the page requested is an RSS feed, and then filters the content to display your message in the RSS feed footer. 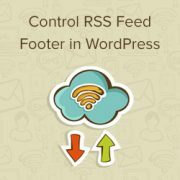 We hope this article helped you learn how to control RSS feed footer in WordPress. You may also want to see these helpful tips to optimize your WordPress RSS feed and get more traffic. how can we disable the rss feed copyright warning! It is causing problems bc it has an email in it that is being obfusated an THAT is making rss invalid so it won show. I dont want to install yoast seo fo rjust that reason plus i use aloseo for seo. Please lmk asap if you can . I have to figure this out soon to finish a project. Nice tut. Is there a reason why you don’t internationalise the code of the code snippet? It is a custom plugin we wrote specifically to use on our own websites.